Shop online for 12 wooden jigsaw puzzles at discounts up to 46%. 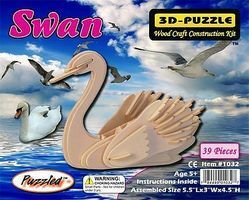 This is the Swan Skeleton Puzzle (5.5'' Long) Wooden 3D Jigsaw Puzzle by Wood 3-D Puzzles. 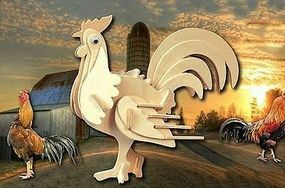 This is the Rooster (6'' Tall) Wooden 3D Jigsaw Puzzle by Wood 3-D Puzzles. This is the The Millenary Monument in Budapest (24'' Long) Wooden 3D Jigsaw Puzzle by Wood 3-D Puzzles. 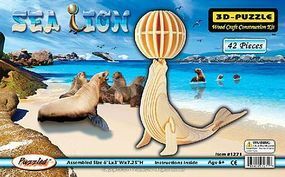 This is the Sea Lion with Ball (7.25'' Tall) Wooden 3D Jigsaw Puzzle by Wood 3-D Puzzles. 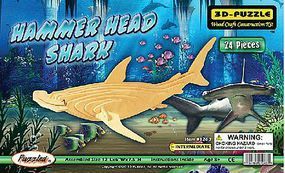 This is the Hammerhead Shark Skeleton Puzzle (12'' Long) Wooden 3D Jigsaw Puzzle by Wood 3-D Puzzles. 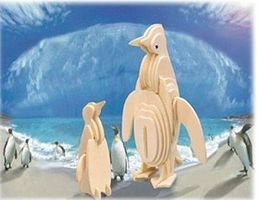 This is the Penguin (6'' Tall) Wooden 3D Jigsaw Puzzle by Wood 3-D Puzzles. 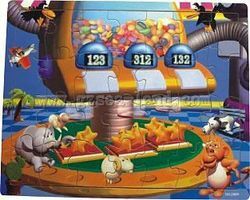 This is the Cartoon Animals & Stars Playing with Candy Machine (48pc) Wooden Jigsaw Puzzle by Wood 3-D Puzzles. This is the Lion on Land w/Ghost Images of Animals in Night Sky (28pc) Wooden Jigsaw Puzzle by Wood 3-D Puzzles. This is the Cartoon Boy with Animals In Fast Food Restaurant (48pc) Wooden Jigsaw Puzzle by Wood 3-D Puzzles. This is the Concorde Airliner (14'' Long) Wooden 3D Jigsaw Puzzle by Wood 3-D Puzzles. 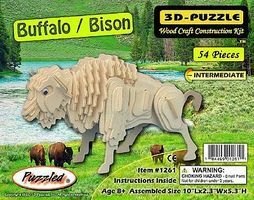 This is the Cartoon Animals on Stage (48pc) Wooden Jigsaw Puzzle by Wood 3-D Puzzles.